"Beauty is in the eye of the beholder" or so as they say. However, us girls definitely have to take good care of how we look especially as our age increases. I have to admit, I never really took particular care or attention towards my skin so I just used the minimal skin care products like cleanser, toner and moisturizer. As time goes by, I realized the importance of using different kind of skin care products especially sun care products to prevent dark spots, premature aging and etc. However, of course my skin condition isn't as good as I would wish it to be but thank God for treatments and aesthetic clinics that use high technology to help revert your skin back to its younger days. 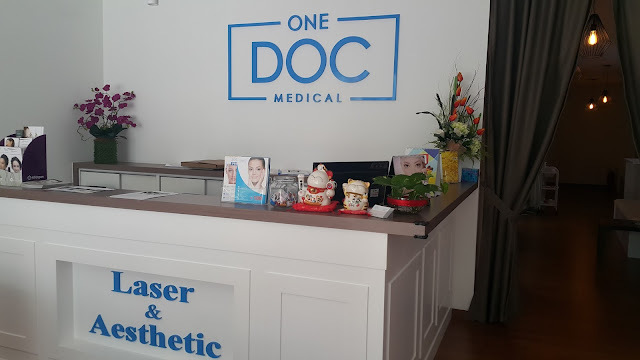 I was privileged to be invited by One Doc Medical Laser & Aesthetic to try out some of their treatments and well to give my skin some TLC. Congratulations to their latest opening at Publika! Make sure not to miss out on their Opening Promotions up to 50% off! 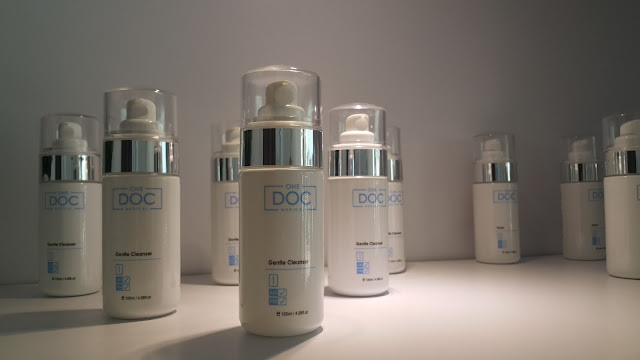 ONE DOC Medical Facial is the most technologically advanced medical grade's skin treatment. 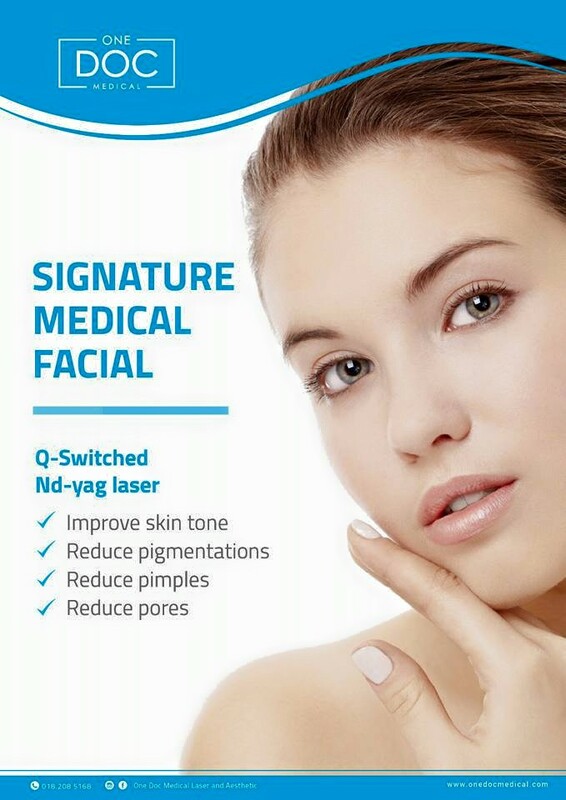 3 passes laser done by accredited doctor will provide deep cleansing and fix your skin problems effectively. 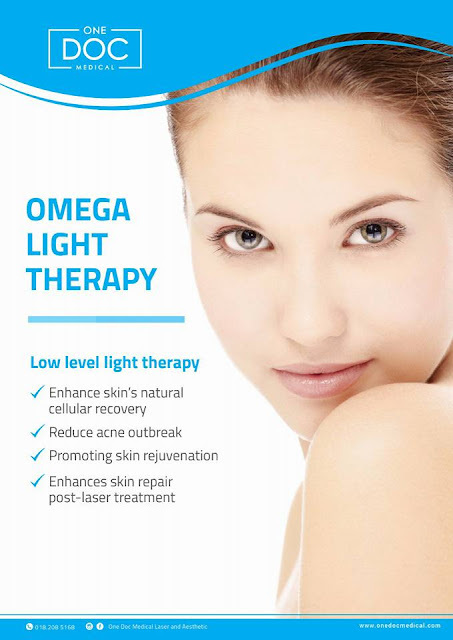 - Effective : for pigmentation, pores, pimples, rejuvenation ,uneven skin tone and fine wrinkles. - No downtime : no redness/ swelling or skin peeling. Located at IOI Boulevard, it was definitely a location near to where I stayed so I headed over one weekend after making my appointment. 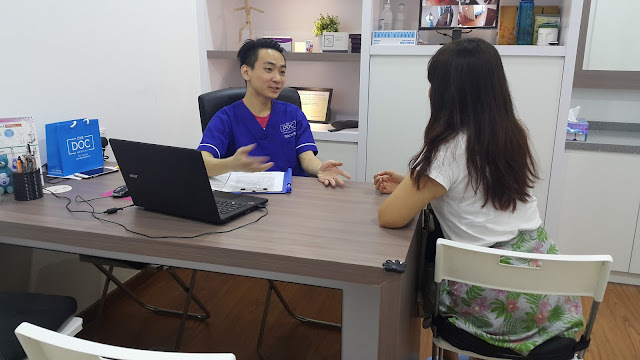 I then had a short consultation session with Dr Ong where we discussed my concerns like dark spots, uneven skin tone, etc and he suggested me to try their Carbon Carbon Peel Laser Treatment which would help brighten my complexion as well as the Omega Light Treatment. Firstly, my face was washed and cleansed to remove any makeup or skin care product. Next, a layer of carbon was applied to my skin and left to dry for about 15 minutes. Yup! I looked like a black faced samurai of some sort at this moment. The layer of carbon actually helps to exfoliate my dead skin, leaving it smoother, brighter and fairer. Then this is where the big guns enter! *joking joking*. For the Carbon Peel Laser Treatment, a machine is used to remove the carbon layer. 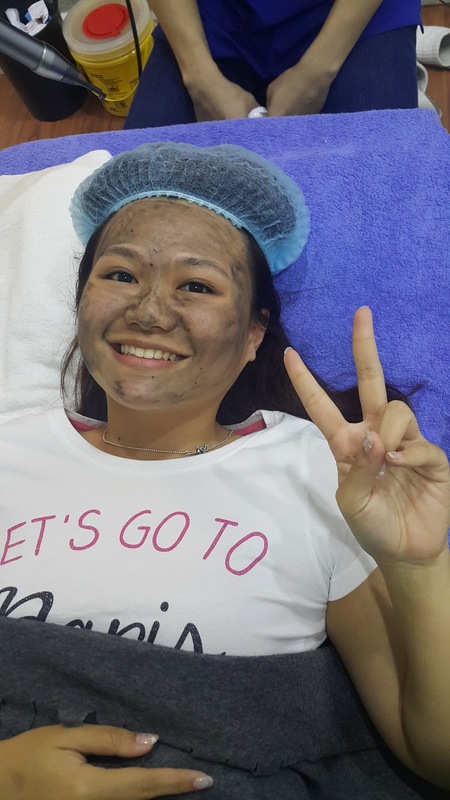 The carbon acts as a medium to boost the effect of the laser as it absorbs more energy from the laser into my skin, removing the bacteria and also help control my oil glands. This is perfect for those who have oily skin conditions as it helps decrease excess oil from being secreted and reduce acne breakouts. The Carbon Peel Laser also helps shrink open pores. After the Carbon Peel Laser Treatment, we continued with the Omega Lite Therapy. Since my concerns were oily T-zone area and some acne breakouts, the Blue and Red light was used. 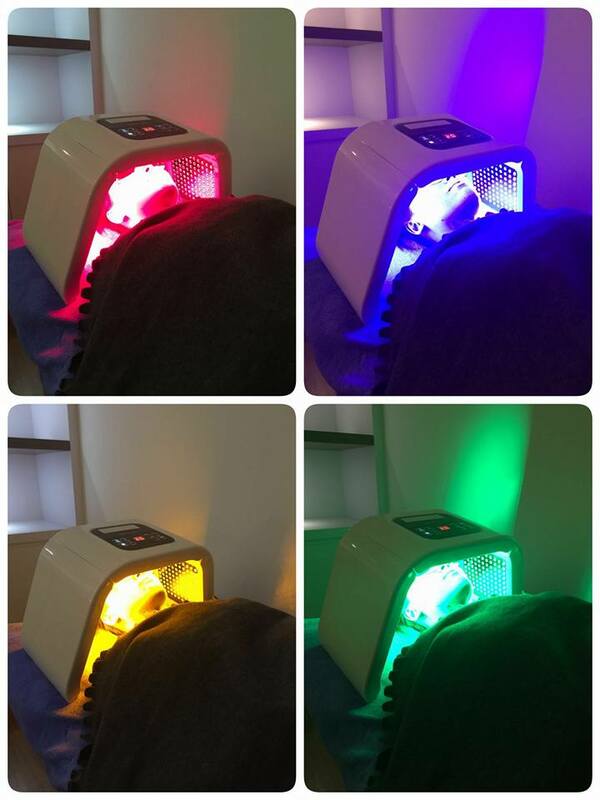 These two lights helps to reduce acne, wipe out bacteria, control oil glands and also to rejuvenate your skin. 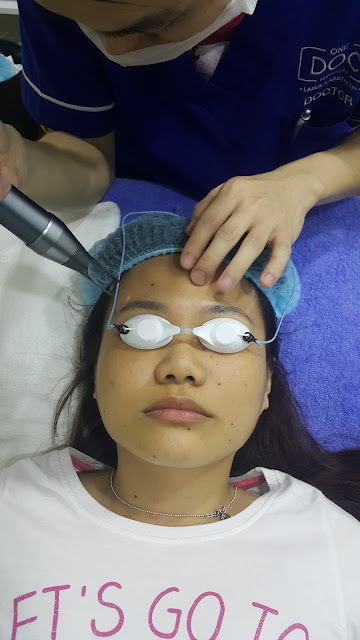 There are other light wavelengths used in this treatment as well like the Yellow light for whitening and lightening of pigment as well as the Green light to sooth your skin. Technically you just lie there and bathe yourself under the light treatment. Well I nearly fell asleep during that session! All these treatments are non-invasive and safe for those who are looking to try Medical Facial. 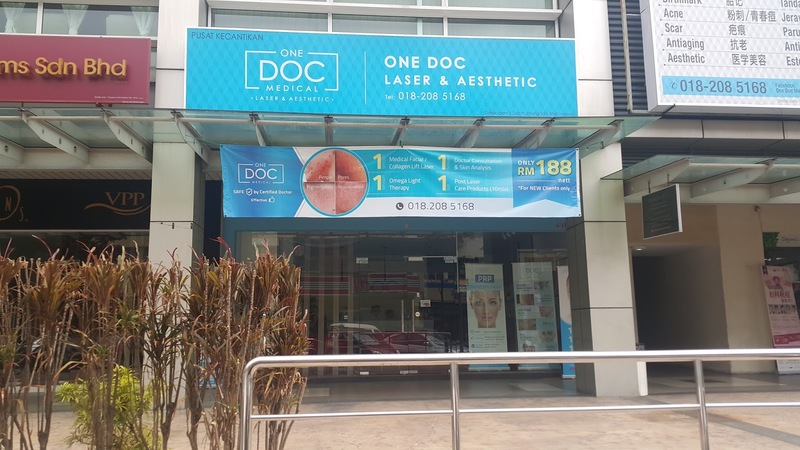 One Doc Medical Centre also provides some other treatments like the Vampire Facial, made famous by Kendall Jenner! 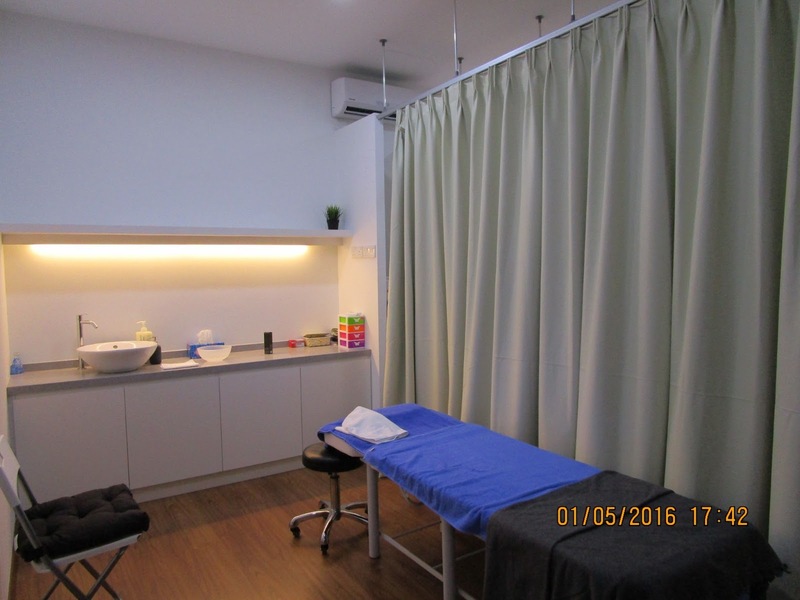 After the treatment, my skin felt so smooth like a baby's bottom and I could definitely see my skin looking much brighter. I'm definitely going back to check out their other treatments especially for my dark spots. 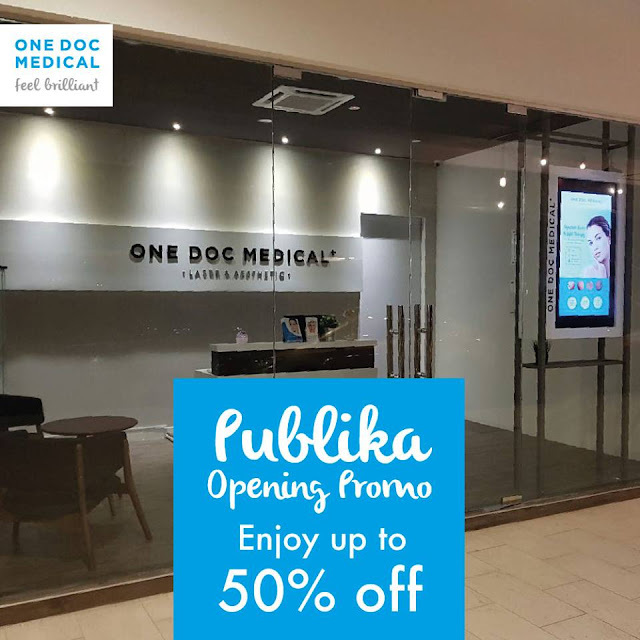 For more information, head on to their Facebook page at https://www.facebook.com/onedocmedical or website www.onedocmedical.com.